In a Nutshell: Commodities investors have no shortage of options to choose from when researching online brokers and trading platforms. While many brokers leverage the latest technology to attract traders, most charge similar fees and offer the same charts and analysis. 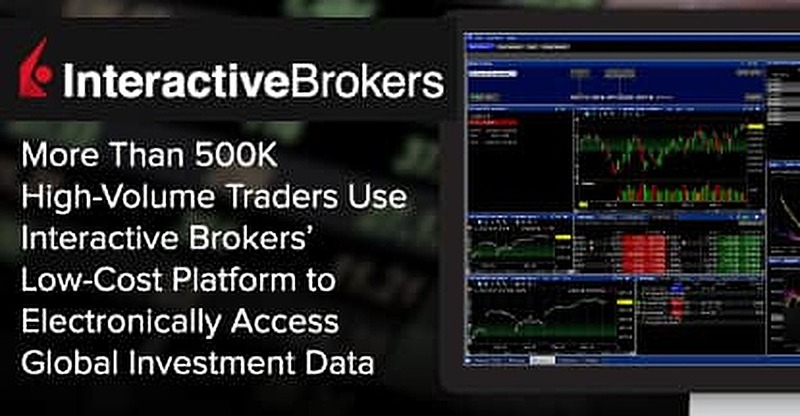 For the active, professional trader, Interactive Brokers offers an online-only platform with the latest tech and industry-leading savings on commissions and brokerage fees, with trade costs as low as $1. More than 500,000 clients on the platform process over 695,000 trades combined per day — averaging nearly 415 annual trades per client. Interactive Brokers also offers clients a branded debit card which they can use to finance purchases using their held stocks as collateral with margin fees charging 1.9% for up to $300,000 in funds borrowed. Commodities investors from the seasoned to the rookie rarely have trouble finding a stock that interests them. Whether they’re individual companies or exchange-traded funds and index funds, there’s something to meet every trader’s interest and risk tolerance level. The same can’t always be said for the platforms on which these stocks, options, futures, and other asset classes are purchased. Most online brokers have similar offerings, commission charges, and charting options. A passive investor who wants to buy and hold can justify the fees over the long term, but the professional investor, who processes several trades per week, can see his or her profits fritter away at the hands of most brokerage fees. Interactive Brokers (IBKR) has specialized in active trading since its 1977 inception when founder and CEO Thomas Peterffy set up at the American Stock Exchange with a self-built handheld computer, the likes of which had previously never been seen on the exchange floor. Over the last 40 years, the company has grown to become one of the premier securities firms with over $6 billion in equity capital. In the last four decades, the online-only brokerage firm has cemented its position as the top global platform for active professional traders. Today, the company is the largest electronic broker in its class by Daily Average Revenue Trades (DARTS) — the number of fee-generating trades a broker handles in a given day, month, or year. IBKR processes an average of 695,000 trades each day. Based on its 508,000 clients reported in January 2018 (that figure has since grown), each trader would average 415 trades per year or just under two every day the stock exchanges are open. According to Andrew Wilkinson, Chief Market Analyst at IBKR, those numbers are unmatched in the industry. Professional traders are drawn to IBKR’s robust offerings and low fees. The platform is connected to exchanges around the world and provides electronic access to investors who want to trade stocks, options, futures, forex, bonds, CFDs, and other asset classes. Transactions processed through Interactive Brokers start at $1, which the company claims is 83% lower than its competitors. Pricing can be based on a fixed or tiered fee schedule. The popular fixed pricing structure charges $0.005 per share, with a minimum charge of $1 and a maximum of 0.5% of the trade value as well as an impressive list of commission-free ETFs. Tiered pricing offers the same fee-free ETFs and plans for traders who purchase less than 300,000 shares per month all the way up to the top tier of 100 million shares bought or sold each month. Interactive Brokers invests heavily in its desktop and mobile application technology, as well as the Investors Marketplace that is free to use regardless of membership status. “If you’re an investor and you want to find an advisor or somebody to do your trading for you, or if you want to invest in a hedge fund, we allow you to access the Investors’ Marketplace portal and look for whatever you’d like,” Wilkinson said. The Marketplace allows any service or technology provider, or any other professional trading entity, to list their services so someone looking for their services can find them. IBKR’s mobile application closely resembles the desktop experience, allowing traders to easily pivot between the two without disrupting their experience. 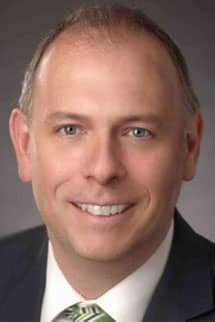 Andrew Wilkinson is Chief Market Analyst at Interactive Brokers. The platform’s options-trading technology has boosted the company’s reputation over the last three years. While the brokerage hosts many active traders in all asset classes, options tend to lead the way in terms of daily volume. “We’ve developed very sophisticated options-related tools that enable investors to trade easily on the platform using multi-legged combination orders that trade directly into a particular exchange,” Wilkinson said. The innovations entered uncharted territory in December 2017, when IBKR became the first broker to add Bitcoin futures through the Chicago Global Markets (Cboe). Wilkinson said during the first week of trading, IBKR’s traders accounted for about 75% of all the trades Cboe had processed on the cryptocurrency. “We tend to think of ourselves as a technology company with a brokerage bolted onto the side,” he said. IBKR clients can take advantage of another unique perk — a branded debit card that is linked directly to the user’s brokerage account. Traders can use their held stocks as collateral, even if the associated account is fully invested with no available cash, to finance purchases with the debit card. Wilkinson pointed to a client who used the card to finance the purchase of a new car. Given IBKR’s low margin rates, the purchase was more fiscally responsible than financing the vehicle through the dealer. Despite connecting with more than 100 exchanges around the world, Wilkinson said Interactive Brokers has future plans to provide its clients with even more opportunities to purchase global commodities. More than 500,000 IBKR clients leverage the company’s superior technology and low commission costs every day to process over 695,000 trades on the platform. That volume is unmatched by other digital brokers. More than half of the brokerage’s clients reside outside of the US, making the company a truly global entity that allows its users to purchase assets from all corners of the globe using a flat, or tiered, pricing structure.